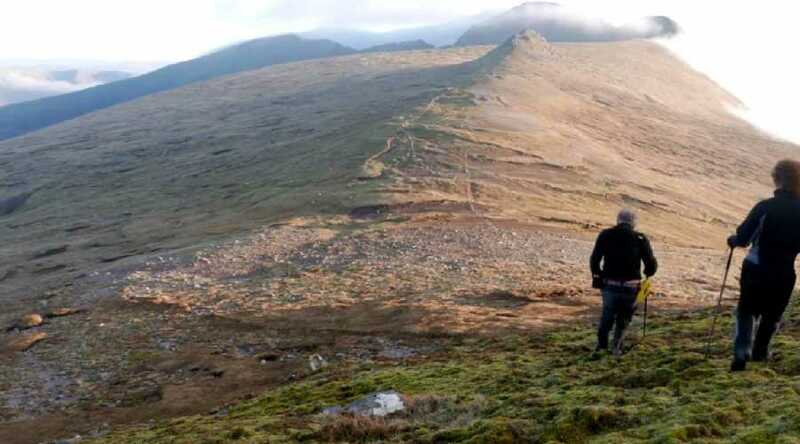 The still taken from the Schwartz/Critchley YouTube film "Trekking and Wild Camping in the Brandon Massif, Dingle Peninsula, County Kerry, Ireland" shows the fearless pair coming from Masatiompan and heading towards Pierasmore with the Brandon ridge, partly hidden in cloud, in the background. This film will give any of you planning an outing in that area an idea of what's involved. Its just such a beautiful place, and the film manages to capture that.